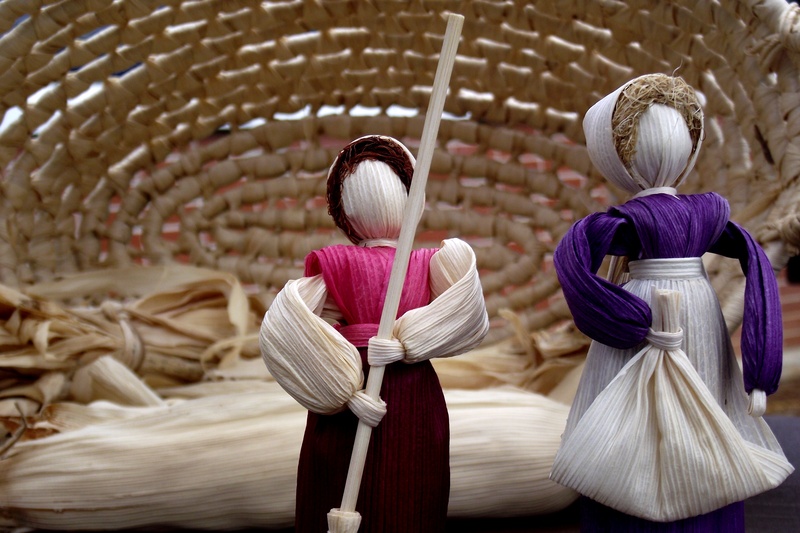 Corn husk dolls and other crafts using natural elements were displayed and demonstrated. Today’s Club Creative Studio “Two-Cent Tuesday” post is a prompt to look closer within your own community for a new creative view. Fall is a wonderful time to enjoy outdoor festivals and gatherings. Most craft-fairs and fall festivals do not have an entrance fee so it makes the creative views even more appealing. Are there events you can explore in your area this weekend? Good toe-tappin’ mountain music had the audience sitting around on hay bales enjoying the sounds with a great natural setting the Smokey Mountains. If you happen to find a different place to be other than your local backyard, you may discover highlights from around a new town to enjoy and appreciate. This was the case when I recently visited another state. 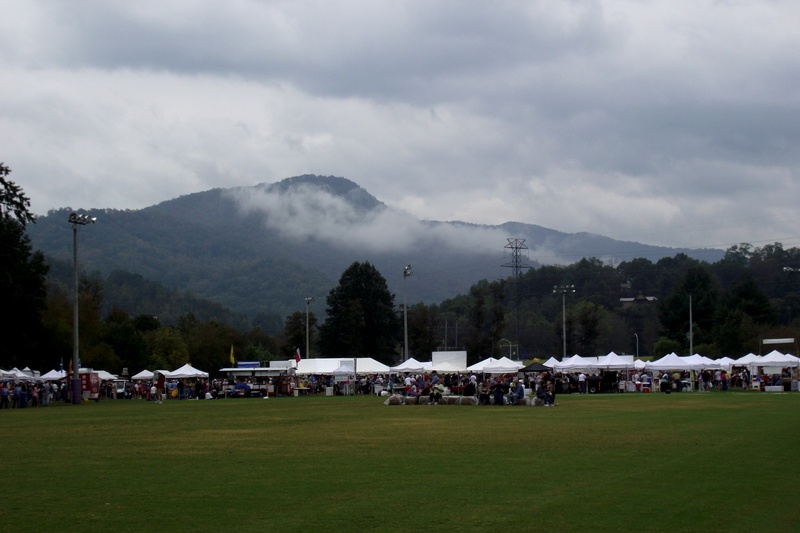 Unaware of the annual festivities focused around the region, we enjoyed what was called “Mountain Heritage Day” in Cullowhee, North Carolina. Held on the grounds of Western Carolina University. 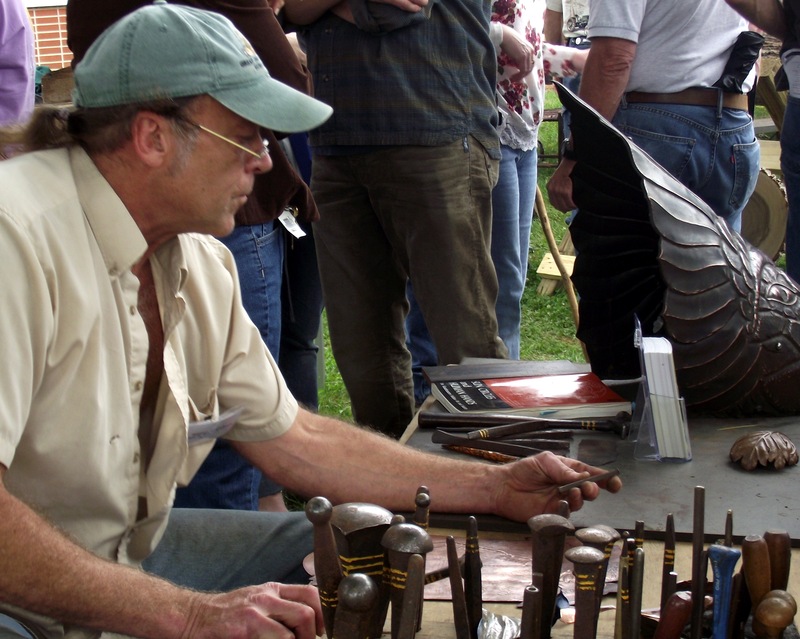 The Newfound Forge: Blacksmith Westley Angel handcrafts forged iron. Mountain Heritage Day celebrates the traditions of rich southern Appalachian Music, Dance, Arts, and Folklore. 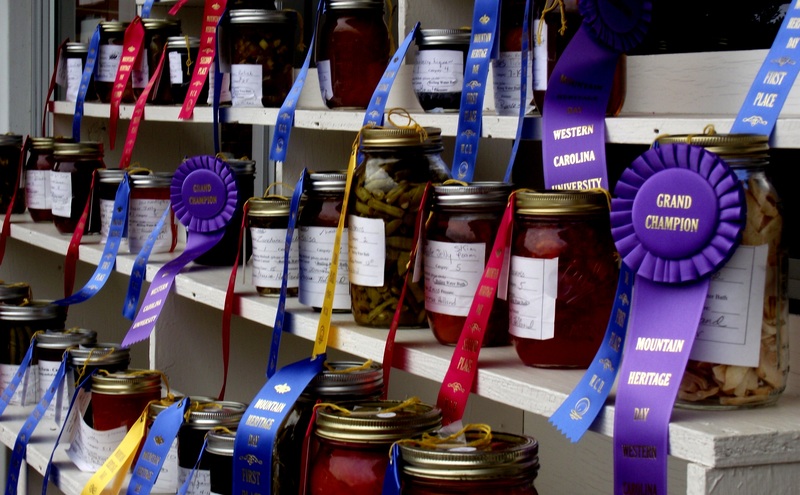 There were 100 plus, Juried Handmade Arts and Crafts Booths, with Three Traditional Music Stages, a Kid’s Area, Cherokee Stickball Games, Workshops, Heritage Demonstration sand Exhibit Areas, Living History Area, Canning and Baking Contests, an Antique Car Show, Chainsaw Competition and plenty of Festival Food. You gotta love that “fried pie”. 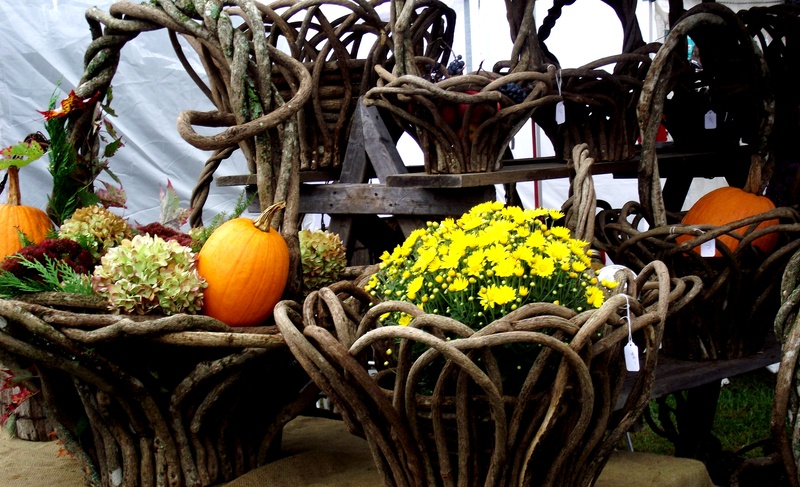 Wonderful sculptural baskets made from local fallen tree branches. The pride of the mountains is reflected in the arts during this day-long festival. This celebration was the 30th annual celebration. It proudly showcased some of the finest arts, crafts, music and dance of the southeast since 1974. It has been named one of the top 200 craft events in the United States. I hope you run across a great fall festival in your area soon. 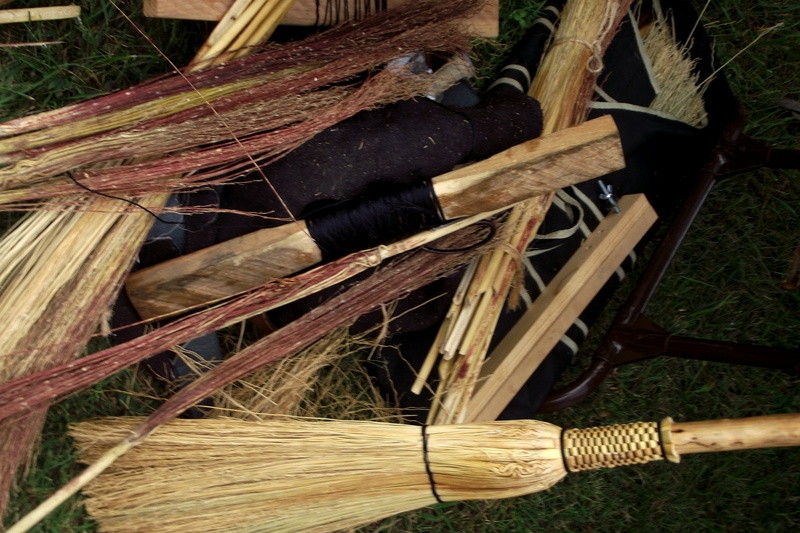 Jim Long and his wife Nancy Hornbuckle of River Cane Weaving display and demo their creative use of natural materials in their weaving of mats and baskets in Cherokee, North Carolina. 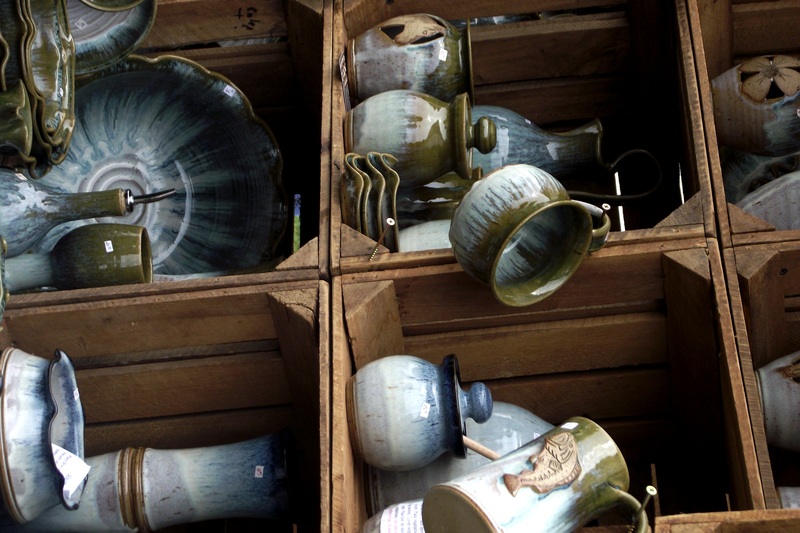 Triple C Pottery from artists: Cale and Christy Williams, Eagle Springs, North Carolina create hand thrown stoneware. 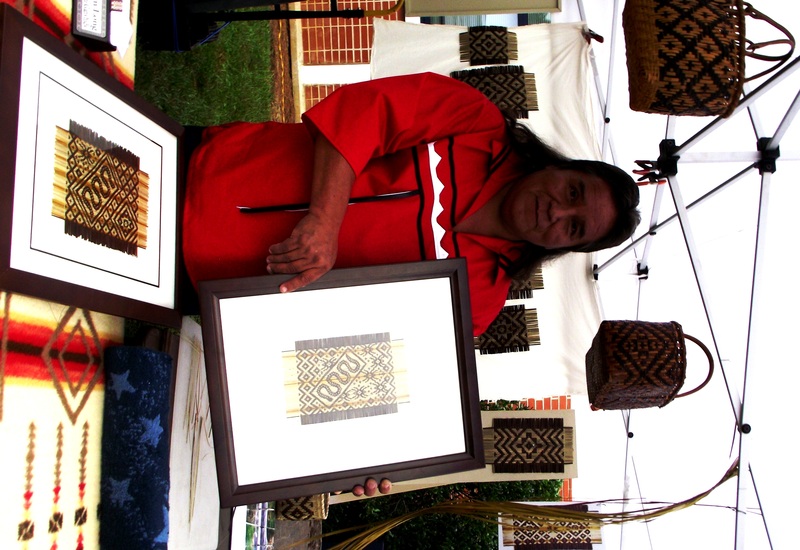 Artist: Lori Anderson shares creations from the past and present from corn shucks and other natural materials. I hope that you have the time to discover something that expresses and appreciates the arts like a good-old-fashioned fall festival. Club Creative Studio would like to highlight the creativity of a small group of people in this TNT (This-N-That) blog post today. New Bridge Middle School in Jacksonville, North Carolina was the setting for creativity at the summer Leadership Camp. Five young artists and their instructor led efforts for a group art project . The collaborative works will be proudly displayed. Take a look at the creative process in the video on our Facebook page http://www.facebook.com/clubcreativestudio , and you will see how all parts DO make the whole. 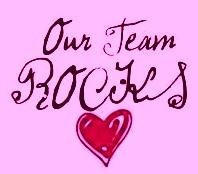 This is a project that may inspire you to do in your own way because it is rewarding at all stages of development. Thank you to the participants and the instructor, and acquaintance Mr. Bernie Rosage, Jr. He will certainly agree that this group art project was created with pride and joy. Get inspired! This over-all project display technique can be replicated in a variety of canvas sizes, as long as they are anchored securely before and after your wall placement. It reminds me of a puzzle. Happily, their theme is NOT puzzling! What did you think? Share your thoughts here! 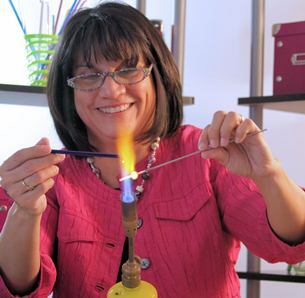 >I am an active member of the Coastal Carolina Artist & Crafters (CCAC) guild, in Jacksonville, North Carolina. If you are in the area of 421 Court Street, we are having the annual Spring Craft Fair & Car Show in downtown Jacksonville at the historic River Walk Park. From 9:00 A.M.-4:00 P.M. Club Creative Studio would love to see you and we welcome your interest! We are celebrating the arts and the 275th Birthday of Onslow County. 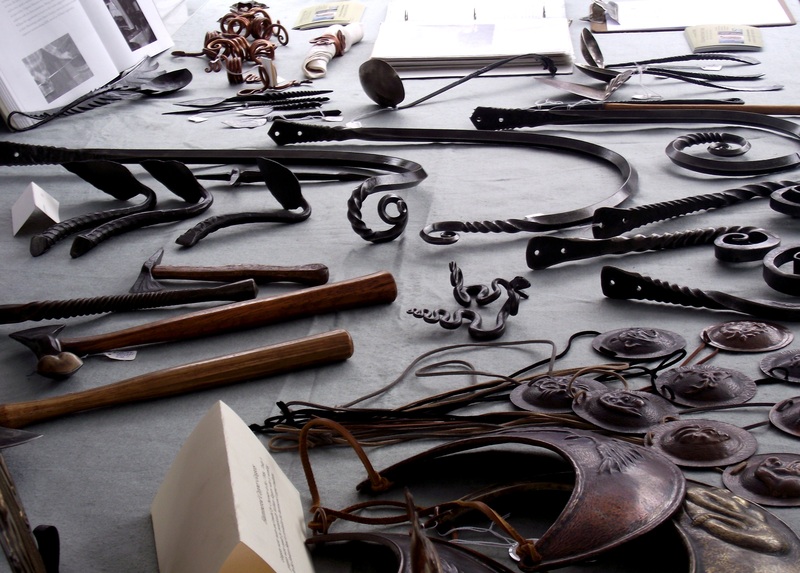 It is free event to attend and admire and purchase from over 35 artists represented. There will be a special area for the children and food is provided by the area Onslow Shriners organization. Portion of the proceeds benefit the Shriners. Day long raffle from CCAC guild member’s contributions. Car show trophies awarded at 2:00 P.M. Scavenger hunt for you to participate in, painted umbrella contest public display, birthday cake cutting ceremony and cake served at 3:00 P.M. while supplies last, umbrella winner announcements. made at that time as well. Scavenger Hunt winner announced at 3:30 P.M. Hope to see you there!